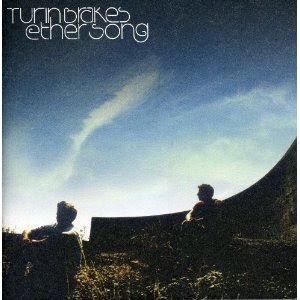 Fatima and I went to see Turin Brakes at The Brixton Academy at the release of their second album Ether Song back in 2003. We fell in love with them even more than we were already in love with their music - The Optimist LP. We drove home in a high after seeing them perform such an amazing gig – we were so happy and thrilled. For us, it was like touching upon a higher form. I am not sure what possessed us, but we drove around London, with their music blasting from some muffled car speakers and completely loving life. We were young, and we had the world at our feet. At 4am, we drove back to The Brixton Academy, because we must thank Turin Brakes for just being brilliant! We got there, and of course, no one was there! Heh! What did we think…? I am a loyal Turin Brakes fan, its like unconditional love; buying everything they release without failure and then absolutely loving what they are making. Olly Knights, songwriter and lead vocalist of Turin Brakes and I met about thirteen years ago when we both studied Film & Video at Central Saint Martins College Of Art in Long Acre, Covent Garden. It was one of those courses that born a lot of musicians for some reason. There was the infamous Jarvis Cocker a few years before us, then Turin Brakes and the controversial rap artist, M.I.A –and Nima Nourizadeh – ads Director and now Hollywood Director to name but a few. Olly and I used to share the sound room for recordings. There wasn’t anyone else who was keen on sound as we both were. I remember Olly made really beautiful films, there was one called, “Two Stories” where Olly captured the clouds shadowing a beach like running ghosts as time passed by. For each album cover that is released, I saw roots of where the artwork came from: this wonderful film he made. I had no idea where Olly was going. I last saw him when we spoke about how scary it was to go out into the big open world. A few months later, he was playing a gig at The Astoria and I carried his music with me all over the world and through all of life’s journeys over the last 10 years. Looking back, I feel so lucky to be part of this wonderful course where it taught us all to have vocals beyond the conventions and to be ourselves, free to express at will. What an honour it was to have grown roots with those who have blossomed wonderful lives and shared with us their artistry, and those yet to bloom. I had lost touch with Olly until I found Turin Brakes on Twitter and to my delights, Olly had been returning my tweets. No longer seeing Olly as the boy who shared the sound room with me, Olly is my favourite band of all time. I am completely star strucken! 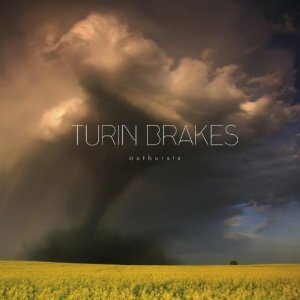 The new album, ‘Outbursts’ verifies everything I love about Turin Brakes. It is very unpretentious, stripped back to what made them great in the first place with The Optimist LP. What I really like about them is that they do not pretend to be anything other than what they are: which is full of beauty and melodic visions in sound and music. Every track on the album brings the listener to a different place, an old memory or a new feeling. They have a unique and superior way of story telling with beautiful and simple arrangements, masterfully bought together by Olly’s voice. 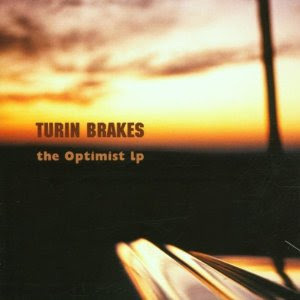 (It is also great to hear Gale Paridjanian – the other half of Turin Brakes sing too). One song sounds like being in a David Lynch movie on a hot, slow, sizzling summer’s day to being in the place with someone you love with the utmost heart and tear. Thanks to Twitter, Olly and I are now in touch again and I have invited him to join us at the supper club. He’s looking at the dates so he can “come and stuff my face”.